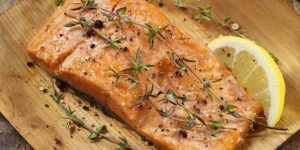 Previous studies showed a relationship between omega-3s, the fatty acids in many types of fish, and improved intelligence, as well as Omega-3s and better sleep. But they’ve never all been connected before. This work, conducted by Jianghong Liu, Jennifer Pinto-Martin and Alexandra Hanlon of the School of Nursing and ‘Penn Integrates Knowledge’ Professor, Adrian Raine, reveals that sleep might be the potential missing link between fish intake and intelligence. For the study, a cohort of 541 9- to 11-year-olds in China, 54 percent boys and 46 percent girls, completed a questionnaire about how often they consumed fish in the past month, with options ranging from “never” to “at least once per week.” They also took the Chinese version of an IQ test called the Wechsler Intelligence Scale for Children-Revised, which examines verbal and non-verbal skills such as vocabulary and coding. Professor Adrian Raine is also author of the book The Anatomy of Violence – The Biological Roots of Crime, in which he argues that omega-3s are crucial to the brain. He summarizes various studies of these fatty acids and their role in antisocial behavior. For instance, a study of 11,875 pregnant women from Bristol, England, showed that offspring of mothers who did not eat much fish during pregnancy had more antisocial behavior. In the United States, a study of 3,581 people from Chicago, Minneapolis, and Birmingham, Alabama, showed that those who hardly ever ate fish had higher levels of hostility than those eating fish at least once a week. There are also more behavior problems and temper tantrums in boys with lower total fatty-acid concentrations as measured from blood. Even dogs with low levels of Omega-3s have been shown to be more aggressive. “What does DHA do? It is known to play a key role in neuronal structure and function. Making up 6 percent of the dry cerebral cortex, it influences the functioning of the blood-brain barrier that regulates what gets into your brain from your bloodstream. It enhances synaptic functioning, facilitating communication between brain cells. It makes up 30% of the membrane of your brain cell and regulates the activity of membrane enzymes. It protects the neuron from cell death. It increases the size of the cell. DHA also stimulates neurite growth. There is more intricate dendritic branching in the neurons of animals fed a diet rich in omega-3 compared with those fed a normal diet. Dendrites of the cell receive signals from other brain cells, so this dendritic branching translates to more connectedness between cells. The axon that transmits the electrical signal to other cells is longer and has a better sheath to conduct the electrical impulse. DHA regulates serotonin and dopamine neurotransmitters, and we saw in chapter 2 that offenders have abnormalities in those neurotransmitters. We also know that DHA is involved in regulating gene expression, so in theory it can help turn on genes that protect against violence- or turn off genes that increase the probability of violence. We also saw earlier that cognitive functioning is impaired in offenders. Omega-3 supplementation has been shown to improve learning and memory in animals, and also improves learning in children. So it’s not just that omega-3s in theory improves the brain. In practice, it makes a difference in terms of cognitive functioning – and cognitive functioning is critical for performance in school and success in life. Raine also summarizes several studies showing that Omega-3s are linked with a reduction of serious offending within prison inmates. Omega-3s are also linked with reduced externalizing behavior problems in juveniles with bipolar disorder, and they reduce aggressive behavior in general as well. ADHD children have a reduction of oppositional defiant behavior after only fifteen weeks of omega-3. And women with borderline personalty disorder showed a reduction in aggression after 2 months of EPA supplementation. Studies have found a nearly 43% reduction in conduct-disorder problems in children supplementing omega 3s. Raine’s book is a treasure trove of studies and fascinating facts about the brain and its role in behavior. Omega-3 supplements have fallen out of favor in some circles because they get easily damaged (oxidized) with exposure to oxygen. If they get damaged, they go rancid. And if they go rancid, chances are that they will wreak havoc in your body, including DNA damage. Rancid fats not only mutate DNA directly, they also make DNA more susceptible to mutations induced by other environmental pollutants. So what do we make of all these great studies on Omega-3 supplementation? Do we supplement or not? Rhonda Patrick, an American biochemist, can probably answer this one. Omega-3s are her favorite supplements, and she argues that they are good as long as they are kept fresh. She explains that there are manufacturers who utilize a nitrogen environment to eliminate oxygen exposure during the fish oil processing, thereby maintaining the integrity of these vulnerable oils. She also recommends keeping Omega-3s in the refrigerator. Keep in mind that saturated animal fats also protect the more vulnerable omega-3s from damage and rancidity. And when supplement quality cannot be guaranteed, these fatty acids are best consumed from fresh food sources (i.e. fish oil from fresh fish sources). As the research shows, Omega-3 enhances brain structure and function by increasing dendritic branching, enhancing synaptic functioning, boosting cell size, protecting the neuron from cell death, and regulating both neurotransmitter functioning and gene expression. May we all benefit from that!